South Africa is undeniably the world’s best safari destination. The Southernmost country in Africa has fantastic wildlife, excellent infrastructure, and award-winning accommodation, which make the experience altogether perfect for travelers. If you are visiting the country for the first time, it makes a lot of sense to book South Africa tour packages so that you don’t miss out on any part of the fun. From exploring the vineyards to having a close encounter with wild animals, the South Africa tour package will include almost all the must-recommended experiences. When you are planning a trip to this amazing place, here’s a glimpse of what all should be covered. One of Africa’s largest safari destinations, Kruger National Park is spread over 19,485 km². The park has several rivers and hilly terrains. The park has a total of 147 mammal species (buffalo, lion, elephant, leopard, white and black rhino), cheetah, vervet monkey, hippo, baboon, and giraffe. Apart from that, the national park is home to Nile crocodile. There are huts, chalets, guesthouses, campsites, and cottages to accommodate guests inside the park. The Kruger Park is a part of the Canyons to Kruger Biosphere that has been designated as an International Man and Biosphere Reserve by the UNESCO. 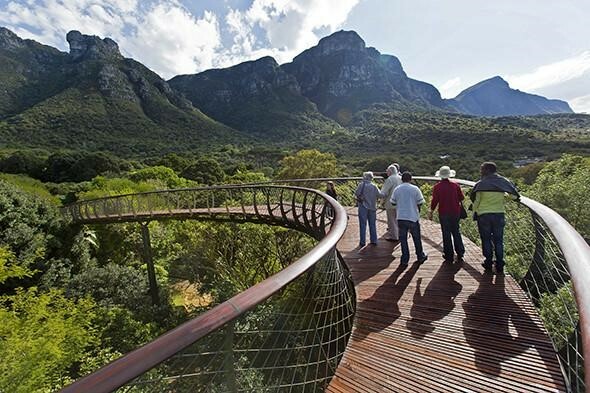 Also referred to as KZN, the KwaZulu-Natal is claimed to be South Africa’s most ecologically diverse province. The 960 km2 Hluhluwe-Imfolozi Game Reserve in the region of KwaZulu-Natal was former royal hunting ground of King Shaka Zulu. The reserve protects the world’s densest population of African rhino species. You might also spot giraffe, nyala, elephant, impala, warthog, and zebra in the national park. The reserve has two areas – the iSimangaliso Wetland Park and the uKhahlamba have been declared as UNESCO World Heritage sites. Kgalagadi Transfrontier Park is located in the Kalahari desert, away from human interference. What’s different about this park is the unique experience that you wouldn’t find anywhere else in the world. The park is home to springbok, blue wildebeest, gemsbok, black-maned lions, and eland. Though it’s a self-drive park, you can book morning and sunset safari in South Africa tour packages. Situated near Port Elizabeth in South Africa, the Addo Elephant National Park is a diverse wildlife conservation park is one of South Africa’s 19 national parks. It ranks third in terms of size after Kgalagadi Transfrontier Park and the Kruger National Park. The park is home to over 500 elephants and a wide variety of other animals such as black rhinos, lions, hyenas, buffaloes, zebras, a variety of antelope and a several interesting species of birds.